Very nice analysis! Looking forward to checking out more of their site. 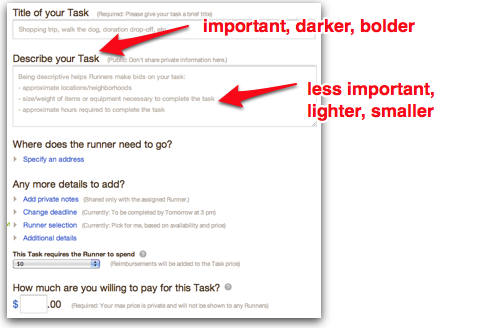 "Why the new task UI in Taskrabbit has great behavioral design"
Giving long tips and examples in placeholder is NOT a good idea. It gets lost after user clicks on the field. Also users don't usually read that much text in the first place. 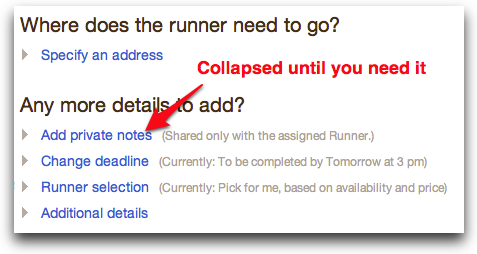 It'd be better to use short (1 line) placeholder text along with a tooltip that has examples and description. 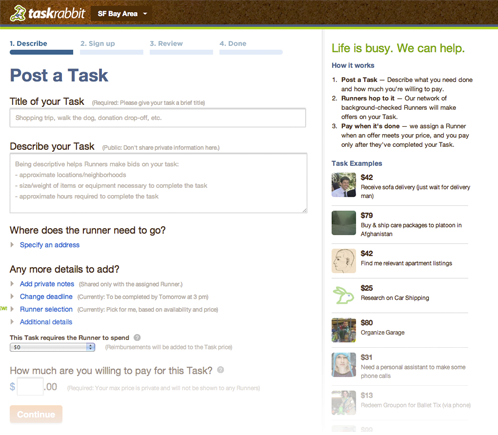 It will be persistent on the side even if the user is interacting with the field.